What great things come from challenge courses at Berkeley? I spoke about Sweetch in my previous post and now I can talk about Kanga Kare and the wonderful IncuPack. Lead by Ken Sandy, VP Product, lynda.com this group really took charge and lead the pack winning our compitition for social entreprenureship last year. How luck we are to have two great success stories. Teaching The Berkeley Method has been a fantastic opportunity highlighted by such great success stories. Congratulations again to Kanga Kare and Sweetch for being so terrific. Two finalists teams in this year’s BigIdeas@Berkeley contest, Kanga Kare and Energant, were named winners of Resolution Project’s Social Venture Challenge at the Clinton Global Initiative University (CGI-U) 2014 conference. Congratulations to these two teams of innovators, who picked up additional seed funding to pursue their initiatives! Kanga Kare South Asian Initiative aims to provide low-cost baby incubators for hospitals in developing countries to prevent neonatal death with their product, IncuPack. 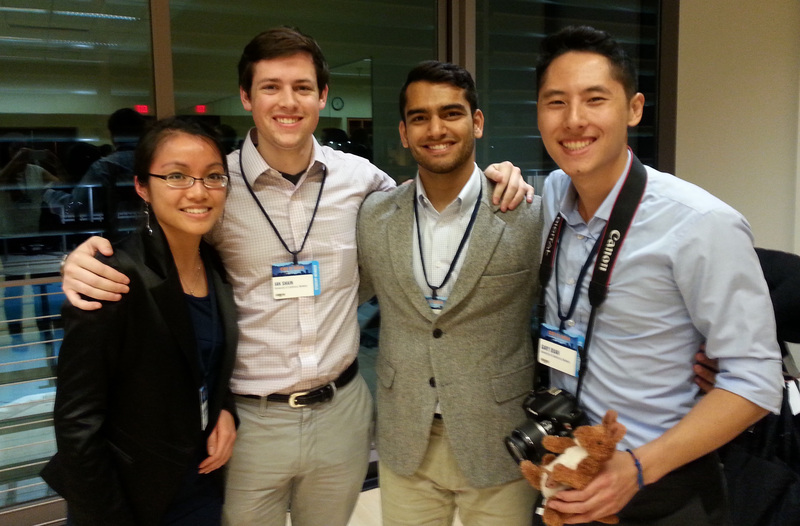 Kanga Kare was represented at CGI-U 2014 by UC Berkeley undergrads Asad Akbany (Bioengineering), Gary Duan (Economics), and Ian Shain (Mechanical Engineering). Energant, co-founded by Jacqueline Nguyen (Molecular Toxicology) and UC Berkeley alumnus Mark Webb, provides an energy-harvesting rocket stove called KleanCook that will allow individuals in developing countries to use the waste heat from their cooking fires to produce at least 10W of power, pasteurize water, and reduce smoky biomass emissions. Thanks for the shoutout Stephen! The Berkeley Method strikes again!